Go back to the Prehistoric age and play Dawn of the Dinosaurs slots! Grab mega cash prizes with the help of Free Spins Explosions and a 100,000 Coins Jackpot! 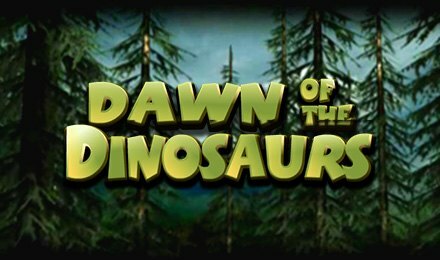 Journey back to the Jurassic era and play Dawn of the Dinosaurs slots at Vegas Spins! There are 5 reels and 25 paylines packed with prehistoric graphics and loads of Dinosaur symbols! Spin to Win the mega 100,000 coins jackpot when you play today! There are some amazing interactive bonus features in this game. In the Raptor Clash Bonus you play a dinosaur and try to defeat your opponent to grab extra coin prizes! If you manage to get 4 Lava Rocks you’ll trigger the Free Spins Explosions with a chance to multiply your winnings!